Repatriation : It is the process of returning a person to his/her country of origin, such as refugees. It is not that complicated for Non-Resident Indians (NRI) to buy or sell immovable property in India and remittance of sale proceeds, but there are certain rules and regulations to be followed during such transactions. The Reserve Bank of India governs them and they fall under the purview of the Foreign Exchange Management Act (FEMA). In this article we will cover the rules regarding purchase and sale of property by NRIs and repatriation of sale proceeds respectively under separate headings. An NRI or a Person of Indian Origin (PIO) is legally entitled to buy residential and commercial properties in India without prior permission from RBI and there is no restriction on the number of immovable properties they can buy. The only stipulation is that the purchase amount must be paid in Indian Rupees through normal banking channels, or through NRI bank accounts under FEMA and RBI regulations. from a person resident in India and can hold it. They cannot buy agricultural land, plantation property or farm house. However, they can inherit such property from a person resident of India and can hold it. 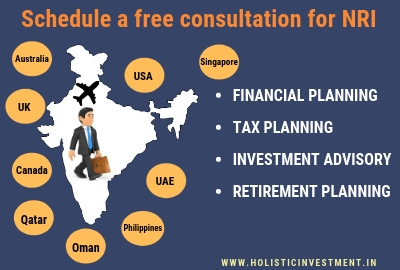 An NRI can sell their residential or commercial property in India that they have bought or inherited to a person resident in India, NRI or a PIO. However, in case of selling agricultural land, plantation property or farm house, the property must be sold to a person who is a resident in India. After the selling comes the repatriation of sale proceeds to the country of residence. And here you have to follow certain guidelines laid down by RBI under FEMA. If you are selling the property bought before moving abroad that is while you were a resident of India, then sale proceeds must be credited to the NRO account. You are entitled to repatriate up to USD 1 million including all other capital transactions per financial year (April-March), given you have paid all your tax dues. Repatriation is restricted to sale of two residential properties only. You can do this repatriation if you held the property for at least 10 years. If you have kept the property for less than 10 years, you can’t repatriate the money immediately. You need to keep the money in your NRO account till it completes 10 year period and then you can transfer. For example, you are selling a property after holding it for 8 years. Then you need to keep the sale proceeds in NRO account for 2 years. After this 2 year period you can repatriate. The property must be purchased in compliance with the foreign exchange laws prevalent at the time of the purchase. The repatriation cannot exceed the amount of foreign exchange remitted by the NRI to India via normal banking channels for the purchase of the said property. The remittance cannot exceed the funds paid through Foreign Currency Non Resident (FCNR) Account in buying the property. The repatriation cannot exceed the amount of loan repayment made using foreign inward remittance or debit to Non Resident External (NRE) or FCNR accounts. The remittance cannot exceed the amount paid through NRE account at the time of purchase. In all cases, the amount of sale proceeds must be credited to NRO account and only then up to USD 1 million per financial year can be repatriated. Such repatriation is allowed for only two properties. ‘Waiting for 10 years to complete for repatriation’ doesn’t apply for properties bought buy NRIs from their foreign money. NRIs or PIOs are allowed to repatriate the sale proceeds of immovable property inherited from a person resident in India given they produce documentary evidence in support of their inheritance and necessary tax clearance certificates from the Income-Tax authority. The amount should not exceed USD 1 million per financial year. If NRIs sell the property after three years from date of purchase, they will incur long term capital gains of 20%. The gains are calculated as difference between indexed cost of purchase and sale value. Indexed cost of purchase is the cost of purchase adjusted to inflation. In case of inherited property, the date and cost of purchase for the purpose of calculating the period of holding and cost of purchase is taken to be the date and cost to original owner. As per laws, NRIs are subject to a TDS of 20%. If they sell the property within three years from the date of purchase, they are liable for short term capital gains of a TDS of 30% irrespective of tax slab. Short term capital gains are calculated as difference between the sale value and cost of purchase. No indexation benefit is applicable on short term capital gains. Definitely, NRIs are eligible for tax exemption in certain instance. If they sell their property after three years of purchase and reinvest the sale proceeds into another residential property within two years of sale, gains will be exempt to the extent of the cost of new property. Another instance of exemption is investment in capital gain bonds. If NRIs sell their property after three years of purchase and reinvest the proceeds in bonds of National Highways Authority of India and Rural Electrification Corp. of India within six months of sale, they will be exempt from paying capital gains tax. The bonds are going to be locked in for a period of three years. 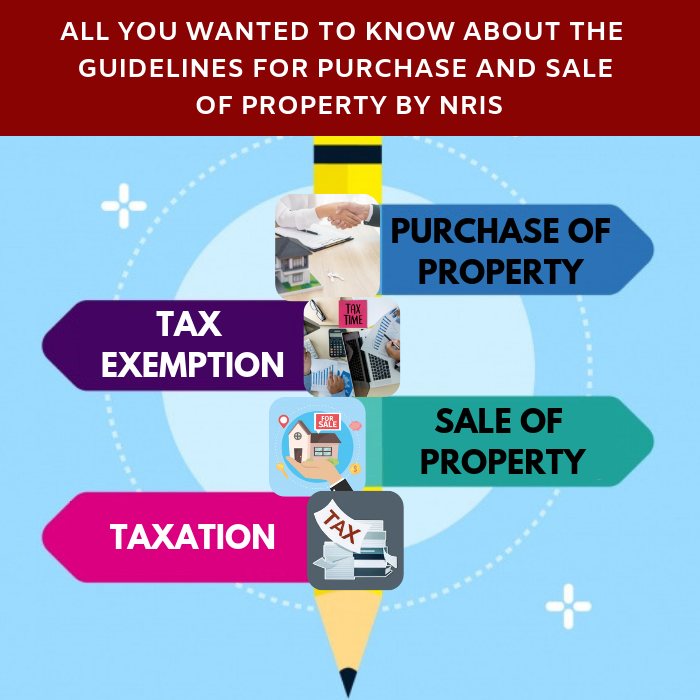 The above mentioned facts are to illustrate the due procedure involved with purchase and sale of property by NRIs and repatriation of sale proceeds. It is advisable to consult a professional to look into finer details of such transactions. Buying a property could be your dream. 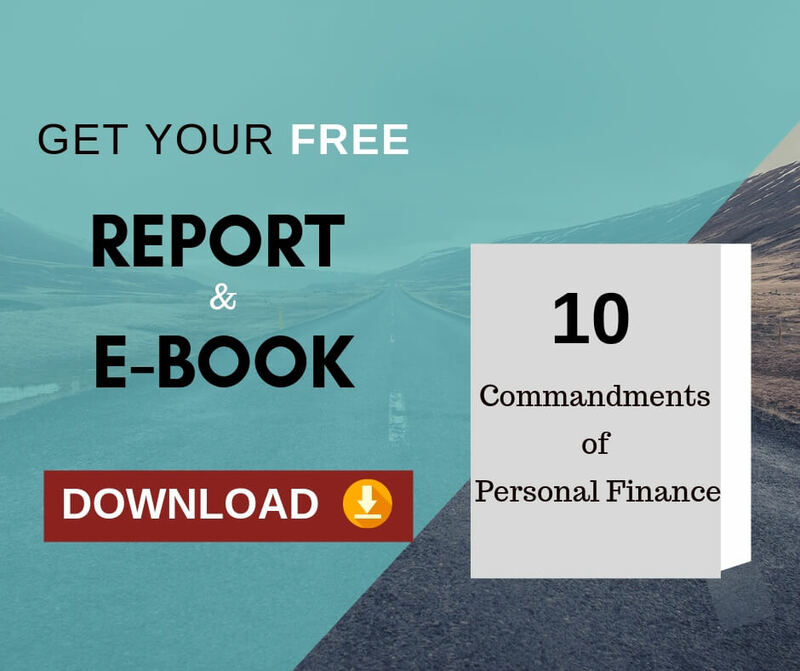 To achieve all your financial dreams an easy way out is to create a workable financial plan. 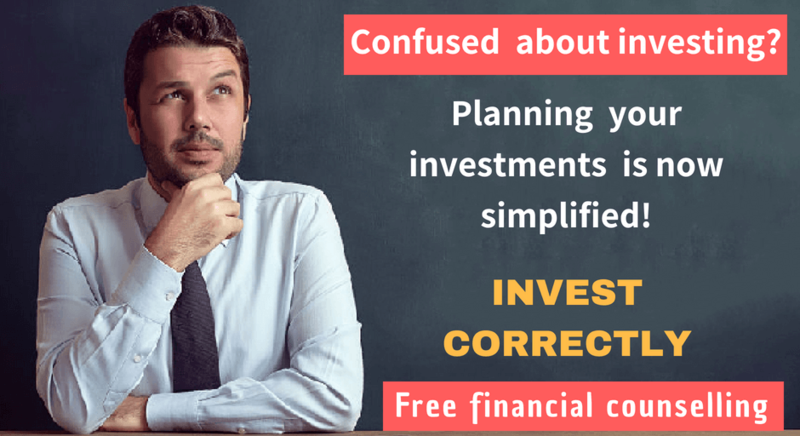 If you are looking out to create a financial plan for yourself, then you may want to check our financial planning process. Thanks for the above useful information. Could you also please tell me that if the NRI bought the property in joint names with hi wife who is a resident and held jointly. He now wants to sell the property but his status is continued to be Non Resident and the wife’s status continued to be Resident all along. Still the TDS of 20% is applicable? Only to the extent of your(NRI) co-ownership, 20% TDS is applicable. As your wife is a resident, for her co-ownership 20% TDS is not applicable. You have noted some νery іnteresting pоints!